What the papers say Borussia Dortmund have denied Jadon Sancho will leave this summer amid speculation that he is a Manchester United target, the Daily Mail reports. Senior officials at the club have told the paper that the England winger will “definitely” be playing in the Bundesliga next season. The team are said to be keen on hanging on to the 18-year-old in light of the departure of Christian Pulisic to Chelsea for £58million. Harry Kane rewrote the history books as Tottenham finished off Borussia Dortmund to reach the Champions League quarter-finals. What the papers say Manchester United are preparing to fight Paris St Germain for Jadon Sancho, which could lead to the Borussia Dortmund winger becoming the first £100million English footballer, the Daily Telegraph claims. The 18-year-old is the top summer forward target for both clubs after impressing following his £8million move to Dortmund in August 2017 and the Bundesliga leaders know interest from both clubs will drive his price higher, the paper says. Tottenham aim to seal their Champions League quarter-final berth against Borussia Dortmund on Tuesday, with what Mauricio Pochettino believes is an unfair advantage. Tottenham manager Mauricio Pochettino has called on the Football Association and Premier League to help English clubs be stronger in the Champions League. Borussia Dortmund manager Lucien Favre has told Jadon Sancho only hard work will get him to the top of the game. Tottenham head to Borussia Dortmund on Tuesday looking to finish the job and move into the quarter-finals of the Champions League. Jan Vertonghen accepts that Tottenham’s 3-0 demolition of Borussia Dortmund in the first leg of their last-16 Champions League tie makes it hard for them to play the underdog card. Jadon Sancho endured a difficult evening as Borussia Dortmund suffered a 3-0 defeat to Tottenham in the first leg of their Champions League last-16 clash. 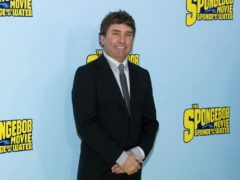 Tributes have been paid to SpongeBob SquarePants creator Stephen Hillenburg, who has died aged 57 after being diagnosed with motor neurone disease last year.